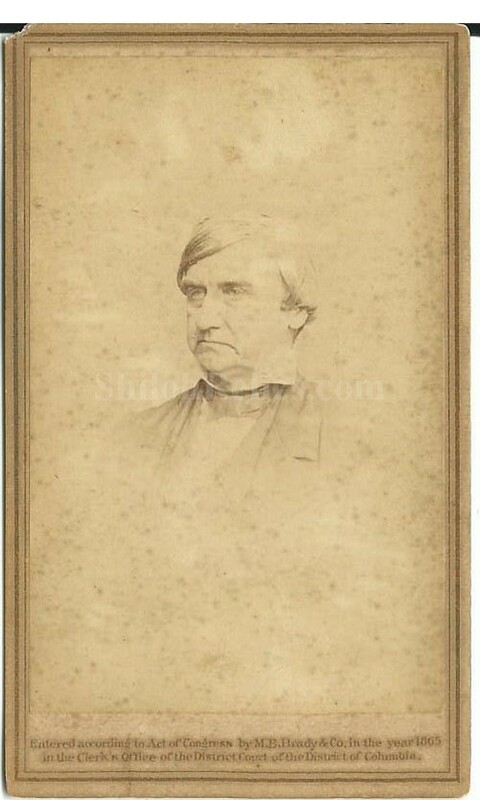 This is an authentic CDV image of Union General Joseph Holt (1807-1894). It is a nice clear CDV of the general in civilian clothes. Joseph Holt was born in Breckinridge County, Ohio, on January 6, 1807. A staunch Democrat, he served in the administrations of James Buchanan, but is best known for serving under Abraham Lincoln. President Lincoln appointed Holt as the Army's Judge Advocate General with the rank of Colonel. He was promoted to Brigadier General on June 22, 1864. He enforced their policy of jailing people without habeas corpus people with different views than that of Lincoln. Among his many prosecutions were that of the Lincoln assassination conspirators, and the trial of Henry Wirz who was commandant of the Andersonville prison camp. These CDV images were an important part of history from the Civil War era. It was the first practical way to bring images of a famous personality home to the regular people. The people wanted to be able to put a face with the names they read about in the newspapers. You could order through newspaper ads or at local photography studios, several images of famous personalities for a reasonable amount. The CDV images were made by applying a thin paper photo image of the famous person of the day to a heavier paper card. This made the image more durable and easier to display and also added uniformity to the size. The overall size of a CDV image is approximately 2.5 inches by 4 inches in size. 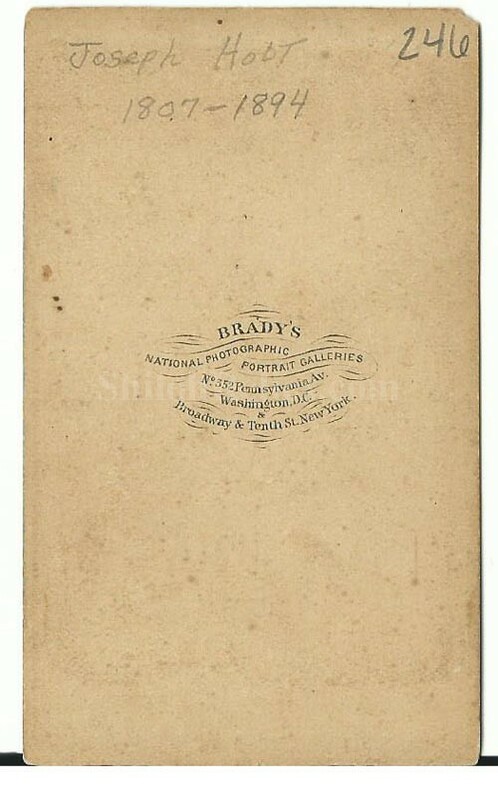 On the back of the card it has the stamp from the famous photographer, Matthew Brady. It is a fine original CDV that will make a solid addition to any Confederate Civil War collection.